"What truly assured Cope's (July 28, 1840 – April 12, 1897; above right) place in the history of paleontology and even eclipsed his science was his bitter feud with Yale University paleontologist O.C. Marsh (above left). What began as a friendly rivalry in the late 1860s, broke out into all out war in 1872 and then raged on until Cope's death in 1897. Both Cope and Marsh were recipients of family fortunes and they used their wealth to discover new fossils and to reconstruct ancient life. 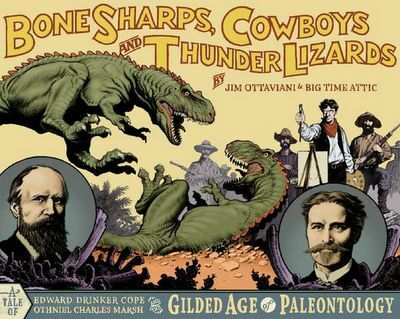 This scramble literally propelled American science into the forefront of paleontology."